A big offroadster is the choice of a winner. It raises the social status, and has a reserve of space for various tasks, and it does not mind the impassibility and snow piles. To become the owner of such a car it is sometimes enough to have an amount of up to $ 10,000, which is comparable to the price of Hyundai Solaris with a 1.4-liter engine and almost with no frills. Usually, the adherers of middle-aged “offroadsters” appeal to the price advantage against the background of a new, but empty car of B+ size class, therefore $ 10,000 will become in our case a sort of limit. By the way, the interest in a full-size SUV in our country was and is, as the voting results for our material once again tell us about potentially interesting off-road and crossover vehicles for the US - the most votes were cast for the monster Toyota Sequoia. up with all the consequences that come with it. 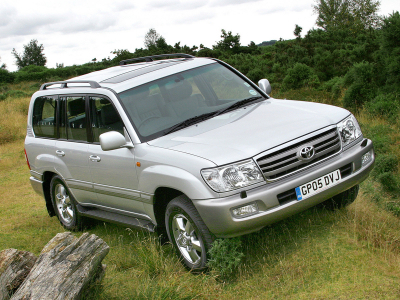 The off-road generation Y61 is a real off-road classic. The 'body on frame' design, solid axles, non-differential front axle connection and speed reduction gearing. The price tag of $ 10,000 is by no means the beginning of pricing, but its middle for pre-restyled cars of 1997-2004 year of production, so you can try to look for a cheaper copy. Personally, we met Nissan for $ 5,500 with the wording "it does not require investments", the integrity of which should remain on the conscience of the owner. Most Patrols are equipped with a 3.0-liter four-cylinder ZD30DDTi turbo diesel with a power of 158 hp, which had the risk of cracks in the aluminum cylinder head and piston burnout. In this budget, you can also have a look at the cars with a gasoline in-line six-cylinder TB45E engine of 4.5 liters of about 200 horsepower, usually entering the US from the Middle East. It is interesting, that there is a chance to buy a car after the upgrade, after bargaining with the owner for $10,000. The first generation QX (2004-2010 manufacture year), focused primarily on the North American market, but also sold in the Middle East and Europe, had a common twin named Nissan Armada. In addition, all other conditions being equal the target audience is certainly more interested in purchasing an offroadster of a prestigious brand. QX56 is designed for those who want to live the high life. Isn't it a bombshell outside and inside? But the dimensions are "dimensionless" - the nose and tail are separated by 5,225 mm, and under the hood there is a 5.6-liter "eight" VK56DE with a power of 313 hp. At the base there is the frame chassis of the Nissan Titan pickup with a rear axle beam. The price range for the monster is from $7,000 to about $15,000, so it will not be difficult to acquire it for $10,000. Quite a favorable price picture is also for a formidable second-generation Chevy, manufactured from 2000 to 2006. It has, like its predecessor, a ‘body on frame’ design and four-wheel drive with speed reduction gearing, however the axle beam is not spring-mounted, it is mounted elastically. The 5.3-liter Vortec V8 engine is a GM cam-in-block classics, producing 273-299 hp depending on the manufacture year. The prices for the most tired copies start at around $3,000, and for $10,000 you can buy a well-maintained offroadster. In our opinion, it is more reasonable to look at slightly cheaper copies, and to use the remaining money for the scheduled maintenance or gasoline. If you live it up as if there is no tomorrow, than a great option is a luxurious Cadillac Escalade which is based on the same platform. In the first generation it was essentially a copy of the GMC Yukon Denali, and in the second generation it gained an individual exterior and a 6.0-liter V8 engine with a horsepower of 349 hp. You can purchase both the standard version and the extended ESV, the luxury equivalent of the Chevy Suburban/GMC Yukon XL, for up to $10,000. To begin with, the Expedition of the second generation (2002-2006 year of manufacture), like its predecessor, is built on the body-on-frame chassis of the F-150 pickup, but unlike most full-size contemporaries, it had a completely independent suspension. The 5.4-liter V8 engine, according to the Ford tradition, is overhead camshaft engine. In 2005, the unit was upgraded - from a 16-valve it turned into a 24-valve with a variable cam timing system and 300 hp instead of 260 hp. Four-speed automatic gearbox was replaced with the six-speed automatic gearbox. The upper limit of prices for this truly large SUV is actually approaching $10,000, which makes it possible to choose. As in the case of the Tahoe, the Expedition has a luxury twin Lincoln Navigator with a standard air suspension, falling into similar price range.